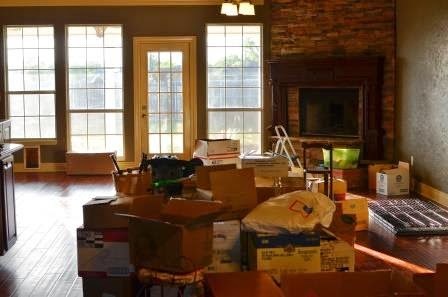 Once you have gotten through the "we are moving" stage and are barreling headlong for the "we have moved" phase, it will make life infinitely better for you and your children if you take the time to help them acclimatize to their new community. Tour their new school - Your child may be apprehensive about their new school and probably sad about leaving their old school. See their new classrooms, meet their new teachers, and while you are there, ask the school about the extra curriculars they offer or any volunteer opportunities for you. The school may even know of other children in your new neighborhood. Make a day of it - Drive around and see the area, map out fun stuff to do nearby your new house/school/work. Look up organizations you've been affiliated with in the past - Like I mentioned earlier, check to see if there are active chapters of various organizations that they are involved in and transfer membership. Research - Ask their new school, the library, locals, what activities are available for your child's age. Keep family traditions - If you always have Chinese food on Fridays, movie nights on Saturdays, or go out for ice cream on Tuesdays, find out where your new local haunts will be. Make it a positive experience trying out new places. Start new traditions - Is there something that your family has always wanted to start doing? A move is like having a fresh start. Our family's ethos is that each time we move, we have the opportunity to be better versions of ourselves. If you, as a family, decide that you really would like to hike on Sunday evenings then go for it! A new venue can open up all kinds of new possibilities. Learn local history - Knowing the history of where you live always seems to connect you to it. Involve the children - Listen to their opinion and take their feedback to heart. By involving them, it gets them invested in life in your new community. Be patient - It will take a while for all of the kinks and growing pains to be worked out but eventually everyone will get into a routine again. Your child is grieving the loss of their home and friends just like you are try to be understanding and help them navigate their feelings. Being proactive is the bottom line for a smoother moving experience.